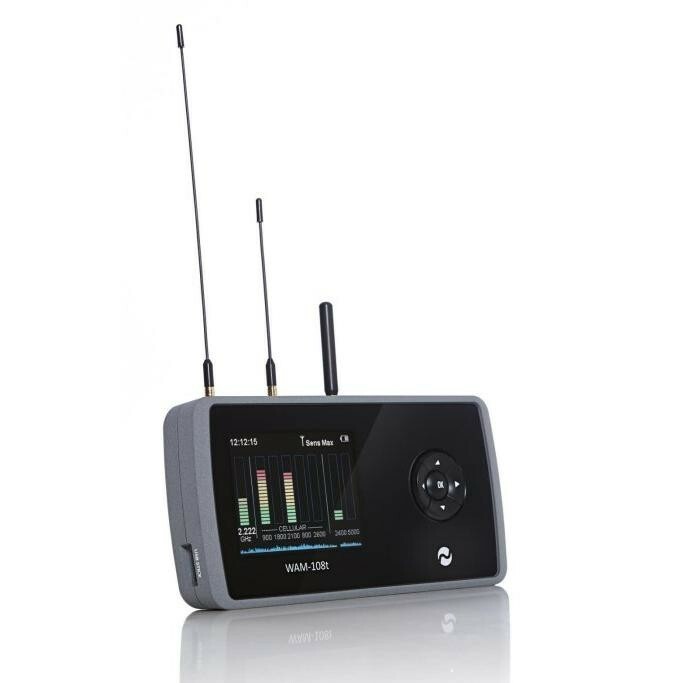 • Detects GSM (2G), UMTS (3G), 4G (LTE) – plus Wifi/Bluetooth/2.4 Ghz devices. • Detects Mobile Phones, Smartphones, GPS Trackers, SMS (Texts), 3G/4G Video, Bluetooth & Wifi Devices. • Detects Cellular Bands 800 MHz (4G), 900 MHz (2G), 1800 MHz (2G/4G), 2100 MHz (3G), 2600MHz (4G). 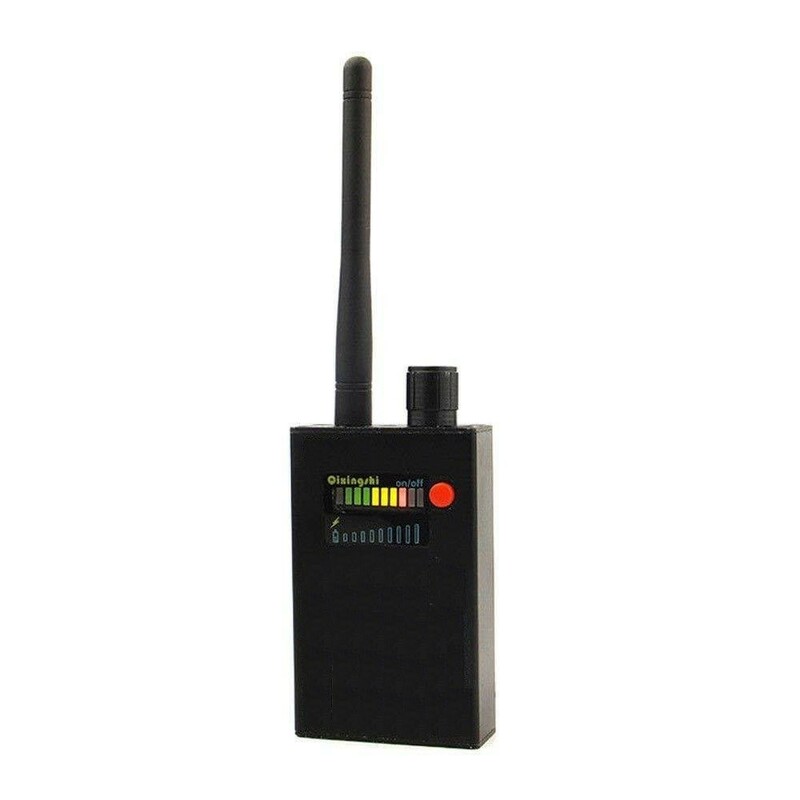 • Separate 2400 Mhz band detector for Wifi/Bluetooth/Video and other latest generation devices. • Ultra-sensitive – Detects signals from up to 50 metres. • Event Log records Time/Date, Detected Band, Duration & Signal Strength of up to 4000 Cellular Events. • Log can be viewed on screen and downloaded to USB stick for storage/viewing on a computer. • Graph Mode plots real time or historical graph of all detected cellular bands. • 3.5inch Colour TFT Display with easy to use menu driven operation. • Audible Signal Strength ‘Beep’ and Silent Vibrate Mode. • Machined Aluminium Enclosure for maximum durability. • Internal Lithium Polymer battery pack – Charger supplied (5V DC Charger – 110V to 240V AC input (Auto Switching) with International Adaptors). • Supplied in Heavy Duty Military Standard carry case.